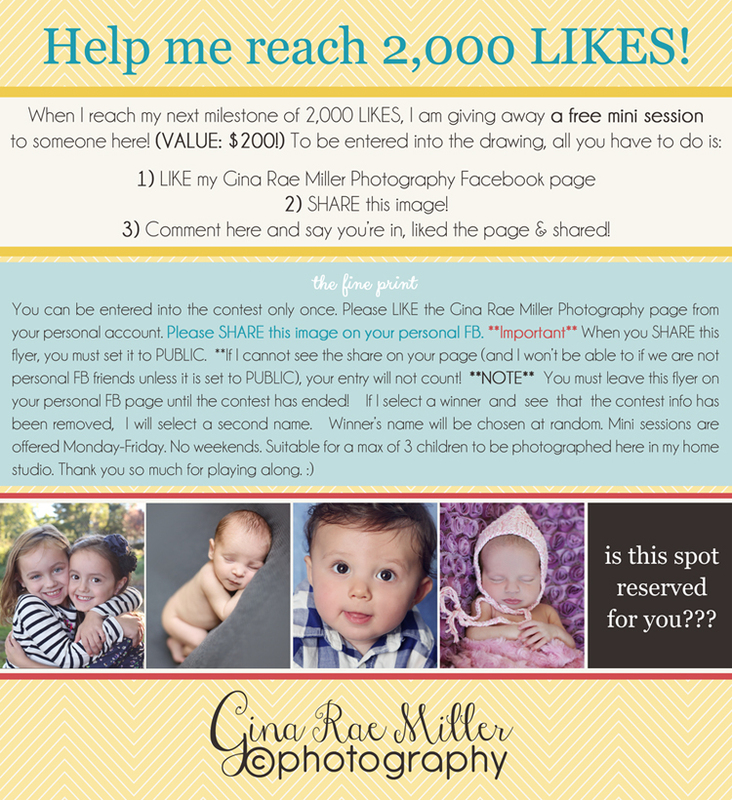 fun, new things with gina rae miller photography! 2013 has started off with a BANG! I am so grateful! Whenever something good happens to/for me, I immediately start to spin the wheels & think: “How can I make it even better?” I don’t enjoy sitting around. I am constantly trying new things, trying to keep myself out there, push myself, create the best stuff that I can… I have lots & lots of fun, new plans for 2013 and I can’t wait to set them all into motion. Here are some new & exciting things already in place, with more to come! 1) To start, I decided to offer some free samples on my photography’s FB page. I gain new fans, you get a free gift: win, win! 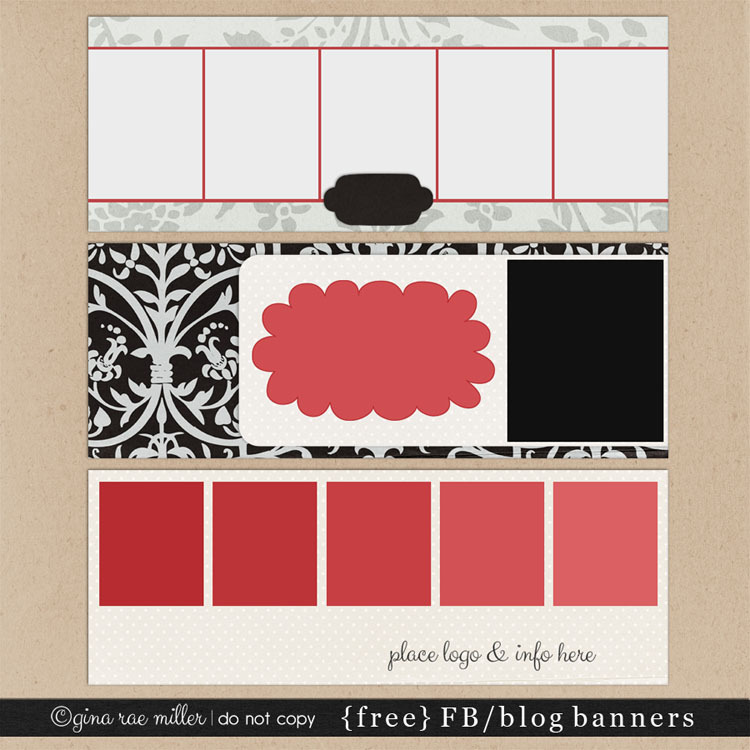 This first free gift is a set of layered FB/Blog banners. They are 850px across and saved as .psd files. Please make sure you have a program that supports layered files and have a working knowledge of layers. These do not come with instructions. Feel free to use them on your personal or business pages. To download your free gift, you need to LIKE my Facebook page and click the teal “FREE & ABOUT” button toward the top. 2) I am hosting a Facebook contest. The prize? A FREE mini session! Check out the flyer and of course, you’ll want to visit my Facebook page and share the image straight from there to be entered! The contest is open to any and all who can make their way here for a session. You can have your friends & family share the flyer and enter too. If they win, they can gift the session to you! This contest will be active until I hit 2,000 fans! 3) I have updated my packages and you can find those right HERE. I am happy to say that I have re-vamped one of the Just Because studio session packages to reflect more of a mini session as far as pricing goes. A lot of people have been booking 6 and 9 month sessions with me and I am hoping this package helps with that, price-wise. Even more exciting for me is the fact that I am now offering Special Event Packages! That includes small weddings (yes, weddings! ), corporate affairs, family events, etc. Those packages are not listed on my website so you’ll need to contact me if interested. If you are looking to book a session with me, please note that right now I have availability the 2nd and 3rd weeks in March and then openings again beginning in April. I am not shooting the week of Spring Break. If you are looking to book a newborn session, the first openings I have are in April. Please CONTACT ME TODAY! I hope everyone’s new year is off to a wonderful start! Good luck, Gina, on your 2000 likes! I shared!